Window-mounted phones may be a little too convenient. Downtown’s ubiquitous flyer boys—the young men who aggressively distributed handbills for supposed charities and sports teams—are once again stealing cellphones and other electronics from occupied cars that are stuck in downtown traffic. CWBChicago first reported on the phenomenon in February. At least three drivers lost their phones to flyer boys in the Loop and Near North this past weekend. 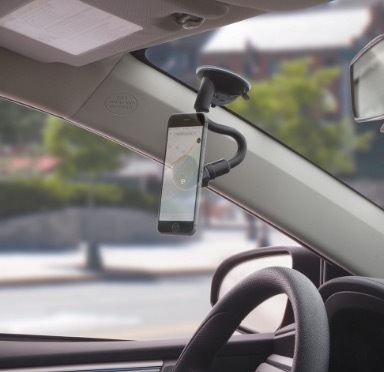 Ride-hailing drivers are frequently targeted because they often mount their phones on the windshield within easy reach of someone standing outside of the vehicle. One of this weekend’s cases involved an Uber driver who told police that a flyer boy approached her car at Michigan and Randolph around 4:30 p.m. Saturday. After pretending to hand the woman a flyer, the thief suddenly displayed a handgun and took the woman’s phone, mount, and base from the car, police said. The victim described the offender as a skinny black male with short hair who is between 15- and 18-years-old. He was seen running southbound wearing a dark shirt and light pants. In an even bolder move, a carload of thieves pulled up to a traffic accident in River North on Saturday evening and proceeded to steal phones from the crashed cars while victims looked on in disbelief. Around 5:40 p.m., police were called to an accident involving two cars in the 1000 block of North LaSalle. When cops arrived, the drivers reported that an SUV pulled up alongside the crash and three men jumped out to steal the motorists’ phones. The thieves then jumped back into their car and sped off. The victims described the thieves as three black men between 18- and 25-years-old in a brown SUV. They were last seen heading southbound on LaSalle in their car. Police warn drivers to be wary of people walking in traffic lanes or passing between cars that are stopped at red lights. Keeping your windows rolled up and doors locked is recommended. And, of course, don't engage with flyer boys.